UNION, NJ / ACCESSWIRE / January 13, 2017 / Co-occurring disorders, also known as dual-diagnosis, refers to the condition of having both a substance use disorder - or alcohol dependence or addiction - and a mental health disorder simultaneously. In order to have long-term recovery, it's important that both conditions are addressed, which can be challenging because they are often complexly intertwined. Learn more about dual diagnosis co-occurring disorders from addiction treatment experts. Co-occurring disorders can often exist for a long time before being diagnosed. Often, one disorder is thought to be the main cause of the other's symptoms, resulting in only one condition being treated. Research has shown that isolating and treating only one of the co-occurring disorders doesn't usually result in long-lasting recovery, because the other condition is not addressed. An integrated treatment for both disorders is needed. Because co-occurring disorders have a complex relationship and treatment, there are some things you need to know. The following is a list of important facts about co-occurring disorders. 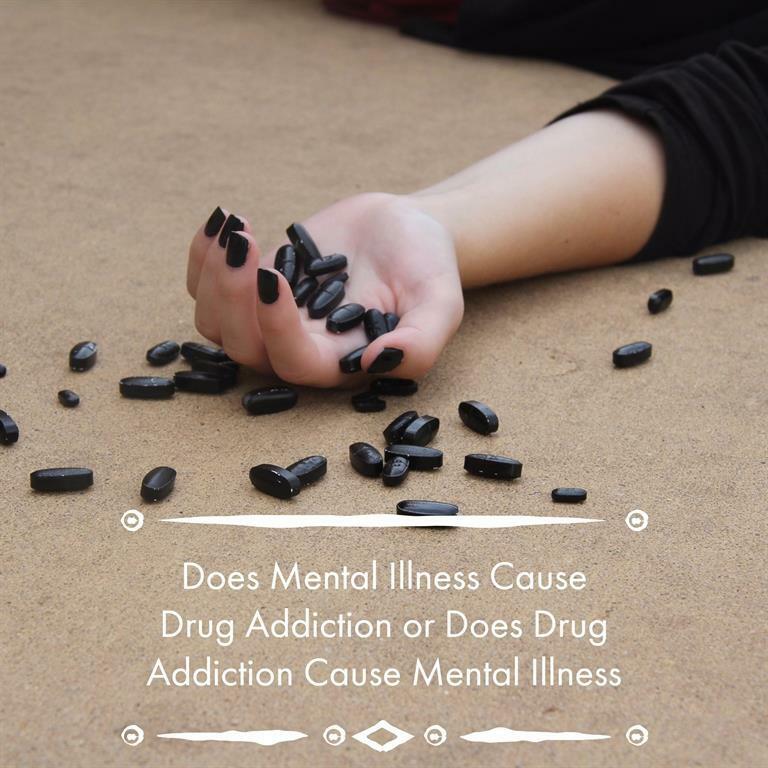 People who suffer from both a substance abuse disorder and a mental health disorder may be more common than you think. According to a report from the Substance Abuse and Mental Health Services Administration (SAMHSA)1, about half of people with a severe mental disorder are also affected by substance abuse. Additionally, 37 percent of alcohol abusers and 53 percent of drug abusers report having at least one serious mental disorder. Overall, 29 percent of people with a mental disorder diagnosis abuse drugs or alcohol. It is clear to see that the dual-diagnosis of substance abuse and mental health disorders is a serious issue that requires attention and specialized treatment. The relationship between substance abuse disorders and mental health disorders can be seen as a street on which traffic runs both ways. In other words, one can lead to the other and vice-versa. Self-Medication: Individuals with a mental disorder may use drugs or alcohol in an attempt to treat their symptoms themselves. Lowered threshold for drug experimentation: A person suffering from a mental disorder may be more likely to experiment with drugs or alcohol, especially those with a disorder that involves impulsiveness or self-control issues. Increased exposure to drugs or alcohol: Some disorders may lead a person to be more likely to be around drug or alcohol use. For example, young people with a behavioral disorder have been linked to substance abuse later in life. Biological factors: The use of substances may have an effect on the chemistry of the brain which can create, intensify, or reveal various mental health disorders. Environmental factors: Substance abuse may cause a user to experience more stress and have less support to deal with it, which may lead to the development of a mental disorder. There are certain characteristics that may contribute to a person developing both a substance abuse disorder and a mental health disorder. Genetics - Genes may create certain dispositions that make a person more likely to use drugs or alcohol or develop a mental health issue that paves the way for a substance abuse disorder. Brain chemistry - The brain chemical dopamine is affected by both substance abuse and some mental disorders. Changes in the brain from one disorder can cause the development of the other. Personality - Personality traits like risk-taking and novelty-seeking can relate to drug or alcohol abuse and mental disorders. Environmental factors - Certain environmental factors may underlie co-occurring disorders, as well. High stress levels, experiencing trauma, and exposure to drugs or alcohol in childhood all seem to be related to the development of co-occurring disorders. Living with co-occurring disorders can take a toll on all aspects of an individual's life. The physical, emotional, and social effects can have long-lasting consequences if the co-occurring disorders are not treated. The physical effects of co-occurring disorders are varied depending on the type of mental disorder present and the type of substance being used - but they can be very severe. Each disorder is likely to worsen the negative effects of the other, amplifying the symptoms for both. With co-occurring disorders, sufferers are more likely to neglect self-care and their health, which can also exacerbate physical issues. People who have a dual-diagnosis are likely to feel distressed and frustrated by their disorders, which can lead to higher stress levels, feelings of disconnection with other people in their lives, lower self-esteem, guilt, and shame. All these things can contribute to the decline of a person's emotional health, and increase the risk of depression and anxiety. Relating to other people can be difficult for people with both a substance abuse disorder and a mental health disorder. They are experiencing double the issues of having a single disorder, and that can make social situations very challenging. People who suffer from substance abuse or mental health issues often distance themselves from others, isolating themselves and reducing their support system without intention. Conversely, friends and family may find it hard to be around the person suffering as well. Co-occurring disorders also often involve problems with finances, employment, housing, and legal issues. Dual-diagnosis disorders are typically more chronic than one order alone. Co-occurring disorders usually have a more severe course of development. Medication-assisted treatment is more challenging because the risk of abuse is higher. People suffering from co-occurring disorders are frequently exposed to additional environmental risk factors. Treatment for people with co-occurring disorders must integrate both disorders in the recovery process, instead of treating each one separately. Just as the two disorders have intertwined, treatment and recovery must as well. A dual-diagnosis of a mental health disorder and a substance abuse disorder will most certainly bring many challenges with it - for the individual, their family, and their friends. While the diagnosis of co-occurring disorders may make treatment more complicated, finding the right treatment facility or programs, becoming educated about co-occurring disorders, and having a strong support system can lead to a successful recovery. If you have been diagnosed with co-occurring disorders, Summit Behavioral Health can address all of your treatment and get your recovery started. Please contact us on our website or call us today with your questions and concerns, we can help.